“Abu Ramzi Ashami” is an ISIS propagandist operating on Twitter. He has remained active on the social media platform despite incurring numerous suspensions since at least 2014.“Latest Articles: IS Supporter Calls for Attacks on British Sheikhs Who Support War on Terror,” Site Intelligence Group, October 14, 2014, https://news.siteintelgroup.com/Jihadist-News/is-supporter-calls-for-attacks-on-british-sheikhs-who-support-war-on-terror.html. Ashami applauded the March 22, 2016, ISIS attacks in Brussels, Belgium, and warned of more carnage. He tweeted, “You bomb us in the East, we bomb you in the West. An eye for an eye, a tooth for a tooth….” Ashami also spread ISIS’s claim of responsibility via Twitter.Abu Ramzi Ashami, Twitter post, March 22, 2016. Ashami has tweeted that he was radicalized by reading Islamic works translated by Anwar al-Awlaki,Abu Ramzi Ashami, Twitter post, July 15, 2015. an American propagandist for al-Qaeda in the Arabian Peninsula (AQAP) who was killed in a U.S.-led airstrike in 2011.Peter Bergen, “The American who inspires terror from Paris to the U.S.,” CNN, January 12, 2015, http://www.cnn.com/2015/01/11/opinion/bergen-american-terrorism-leader-paris-attack/. Ashami's anti-American rhetoric has included attacking the “propaganda filth” spread by the “devils” of the Pentagon:Abu Ramzi Ashami, Twitter post, December 8, 2015, 8:33 a.m. In October 2014, Ashami used a now suspended Twitter handle to urge British jihadists to target “sheikhs” helping law enforcement combat extremism in Britain. In October 2014, Ashami wrote: “[I advise] brothers in the UK, to prioritize the killing of the ‘sheikhs’ that work with the Antiterror police.”“Latest Articles: IS Supporter Calls for Attacks on British Sheikhs Who Support War on Terror,” Site Intelligence Group, October 14, 2014, https://news.siteintelgroup.com/Jihadist-News/is-supporter-calls-for-attacks-on-british-sheikhs-who-support-war-on-terror.html. Ashami also uses Twitter to support fellow propagandists by retweeting their statements and providing links to their social media profiles, activities, and writings. On September 20, 2015, Ashami retweeted posts from Abu Sulaymaan, who asked followers to keep the murderer of filmmaker Theo Van Gogh in their prayers.Abu Ramzi Ashami, Twitter post, September 20, 2015. Van Gogh was killed in 2004 for his documentary, “Fitna,” which depicted Quranic verses painted on the body of a naked woman.Rachel Donadio, “Provocateur’s Death Haunts the Dutch,” New York Times, October 30, 2014, http://www.nytimes.com/2014/11/02/arts/provocateurs-death-haunts-the-dutch-.html. 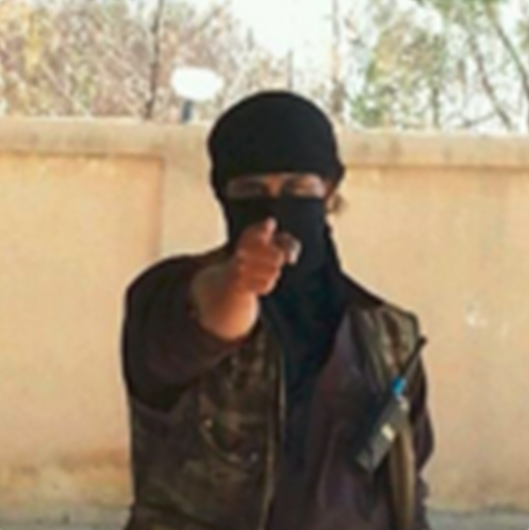 Ashami has been linked to ISIS propagandist Muhammed Abdullahi Hassan, better known as Mujahid Miski. Miski is believed to have left his home in Minneapolis, Minnesota in 2008 to join al-Shabab. He later joined ISIS.Esme Murphy, “Former Minnesota Man Played Key Role In Inciting Texas Terror Attack,” WCCO-TV, May 4, 2015, http://minnesota.cbslocal.com/2015/05/04/former-minnesota-man-played-key-role-in-inciting-texas-terror-attack/. Miski reportedly surrendered to the Somali government in December 2015. Ashami defended Miski on Twitter, tweeting, “Our brother #MujahidMiski got caught by the apostate government of Somalia near Barawe. HE DID NOT HAND HIMSELF OVER TO THEM.”Mukhtar Ibrahim, “Minnesota jihadist offered advice, support online,” Minnesota Public Radio, December 10, 2015, http://www.mprnews.org/story/2015/12/10/miski. Ashami further encouraged al-Shabab members to join ISIS and pledge bayah, or allegiance, to the caliphate.Abu Ramzi Ashami Twitter, October 25, 2015. Ashami also incites violence against governments in the region. Ashami has labeled both the Egyptian army and Syria’s Bashar al-Assad as apostates, justifying jihad against both Arab governments.Abu Ramzi Ashami Twitter, July 15, 2015; Abu Ramzi Ashami Twitter, October 25, 2015. In July 2015, Ashami tweeted posts in support of what he called ISIS’s “Ramadan Operations” in Egypt, led by the terror group’s Wilyat Sinai, or Sinai province.“Jihadist Social Media Activity-Twitter (June 30-July 15),” International Institute for Counter-Terrorism, accessed March 23, 2016, https://www.ict.org.il/Article/1532/Jihadist-Social-Media-Activity-Twitter. Ashami has celebrated lone wolf attacks such as the Chattanooga, Tennessee, shooting and killing of five marines on July 16, 2015, at a marine base. The shooter, Mohammad Youssuf Abdulazeez, was also killed.“Chattanooga Shooting,” CBS News, accessed March 23, 2016. http://www.cbsnews.com/pictures/shooting-at-military-recruiting-center-chattanooga-tennessee/. Ashami tweeted, “May Allah accept the shahadah of our fervent brother Muhammad Yusuf Abdulazeez. The #Chattanooga Mujahid.”Abu Ramzi Ashami, Twitter post, accessed March 23, 2016, https://storify.com/CEP/isis-supporters-react-to-chattanoogashooting. Ashami’s Twitter profile includes a mention of the pro-ISIS website ansarukhilafah.wordpress.com. The website provides detailed articles on ISIS’s fighting in the Middle East, links to ISIS’s publication Dabiq, and links to each ISIS territory the militant group references as a wilayat (province).Ansarukhilafah website, accessed March 23, 2016, https://ansarukhilafah.wordpress.com/. @16treesfor2Abu Ramzi Ashami, Twitter, accessed October 31, 2015. @abu_ramzi00Abu Ramzi Ashami, Twitter, accessed July 10, 2015. @abu_ramzi444Abu Ramzi Ashami, Twitter, accessed August 1, 2015. @Bbbackup36Abu Ramzi Ashami, Twitter, accessed August 23, 2015. @catsfor3Abu Ramzi Ashami, Twitter, accessed October 5, 2015. @hdkd75202951Abu Ramzi Ashami, Twitter, accessed December 30, 2015. @MddmVddmAbu Ramzi Ashami, Twitter, accessed March 22, 2016. @nutellafor5Abu Ramzi Ashami, Twitter, accessed September 11, 2015. “Abu Ramzi Ashami” is an ISIS propagandist operating on Twitter. “What a pleasure to explode the head of an infidel, and to decapitate his head with a kitchen knife.” (Tweet)Abu Ramzi Ashami, Twitter post, March 22, 2016. “Await more bombs, more deaths! Next in Germany, too!” (Tweet)Abu Ramzi Ashami, Twitter post, March 22, 2016. “You bomb us in the East, we bomb you in the West. An eye for an eye, a tooth for a tooth… (Tweet)Abu Ramzi Ashami, Twitter post, March 22, 2016. “We will kill you all with knives, machine guns, and bombs!” (Tweet)Abu Ramzi Ashami, Twitter post, March 22, 2016. “[I advise] brothers in the UK, to prioritize the killing of the ‘sheikhs’ that work with the Antiterror police.” (Tweet)“Latest Articles: IS Supporter Calls for Attacks on British Sheikhs Who Support War on Terror,” Site Intelligence Group, October 14, 2014, https://news.siteintelgroup.com/Jihadist-News/is-supporter-calls-for-attacks-on-british-sheikhs-who-support-war-on-terror.html.